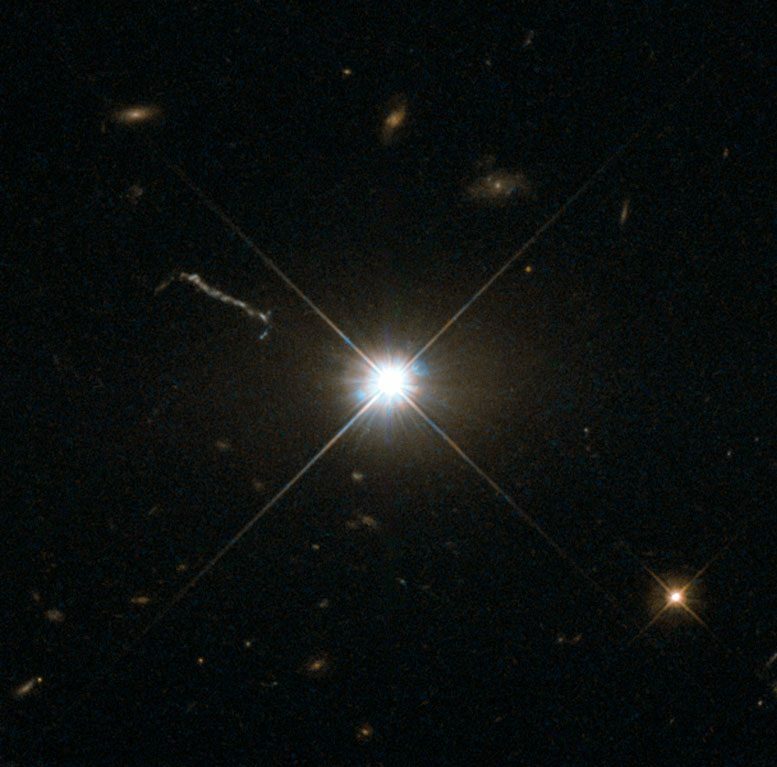 Optical image of the quasar 3C 273 (the bright stellar-like object in the center) obtained with the Hubble Space Telescope. It was the first quasar ever to be identified. Photo courtesy of NASA. Discovery is the first detailed observation of the environs of a massive black hole outside the Milky Way, say researchers from the GRAVITY group. Be the first to comment on "GRAVITY Measures Environs of a Massive Black Hole Outside the Milky Way"